The need for a dedicated 100 per cent Inuktitut educational television channel is greater now than it ever was, Nunavut broadcasters told the Special Senate Committee on the Arctic last week. 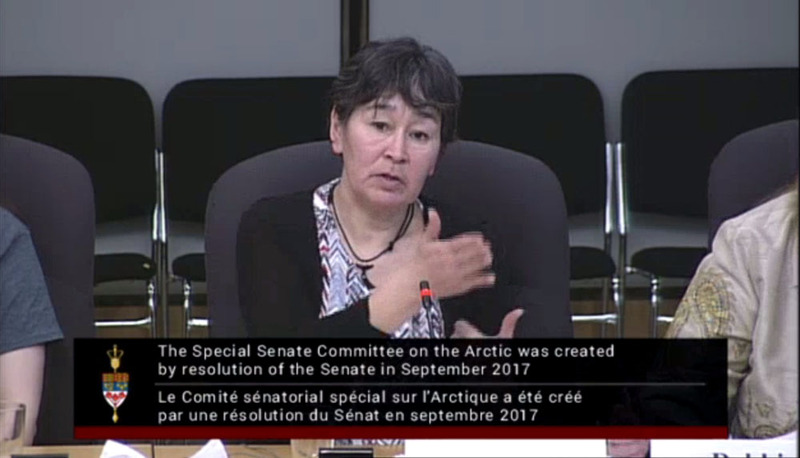 “It’s a dream, but it can happen,” Debbie Brisebois, the outgoing executive director of the Inuit Broadcasting Corp. told Senate committee members on Monday, Feb. 4. Though the idea dates back to at least 2007, a group of Nunavut-based television and film producers called the TV Nunavut Educational Broadcast Society had hoped, in 2014 and 2015, to be in a position to start the proposed channel by 2017. That was after the CRTC confirmed that such an educational channel would gain “must-carry” status on basic cable and satellite TV packages. But the idea never got underway, despite the findings of a feasibility study that concluded a dedicated educational television channel for Nunavut would work. “It’s perfectly possible to have a Nunavut channel. What’s stopping us is we are a loose group of people trying to do our day-to-day work and TV Nunavut hasn’t been resourced,” Brisebois said. She later told Nunatsiaq News that to get its idea off the ground, the TV Nunavut Educational Broadcast Society needs a source of core funding to support an office and a staff person. IBC, with a budget of about $2.6 million a year and 25 employees, produces five Inuktitut programs right now. But two of them, Takuginai and Pituqait, are available online only, at the Isuma TV website. That’s because the Aboriginal Peoples Television Network, the only broadcast outlet that’s available to IBC, only has space for two series, plus the Qanuq Isumavit phone-in discussion show. A dedicated Inuit language television channel could solve that problem, Brisebois said. And there’s likely an audience for Inuit language television beyond Canada’s borders, the Nunavut broadcasters told committee members. Bernadette Dean, the chair of IBC, said in response to a question from the committee chair, Nunavut Senator Dennis Patterson, that she believes there’s a potential audience for Inuit-language television outside Canada’s borders. For example, Dean mentioned a young Inupiat woman from Alaska who told her that she would love to watch IBC programming, but can’t because of licensing restrictions. “Alaska would love to have APTN broadcast in Alaska,” she said. Neil Christopher, a managing partner of Taqqut Media, producer of the Anaana’s Tent educational series for children, also said that only an all-Inuktitut channel like TV Nunavut could give producers like Taqqut a reliable outlet for their work. “No one else respects the northern sensibility,” he said. He also lambasted CBC for abandoning educational children’s broadcasting. “They told me straight off that they’re not interested in educational children’s programming anymore. It’s not in their mandate. To me it’s ludicrous for a public broadcaster to give up on children. I cannot accept it,” Christopher said. He told senators that, for that reason, he’s not interested in talking to them anymore. And for that reason, TV Nunavut offers the best answer. Christopher and his partners also operate the children’s book publisher Inhabit Media, and a new imprint called Inhabit Education, which he said is developing a series for Inuit-language readers. Following a motion by Charlie Watt, who was then still a senator, the Senate voted in September 2017 to create its special committee on the Arctic as a way of plugging into the Liberal government’s Arctic policy framework process. Patterson, the senator for Nunavut, chairs the committee, while Patricia Bovey of the independent senators’ group acts as co-chair. 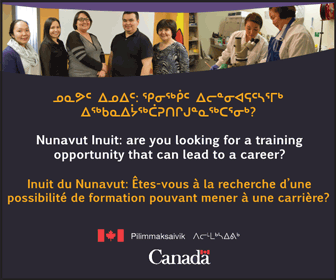 One of the policies for TV Nunavut should say that Inuktitut and or any of the dialects must be main language. 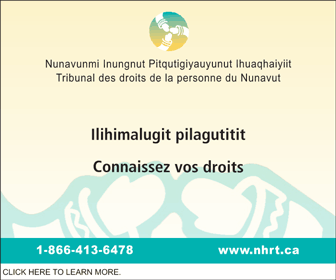 They also need to ensure the written Inuktitut is proofread and is written in standard writing systems – both roman and syllabics. It will ensure youth and non-Inuktitut speakers who are learning are learning it well. No English subtitles in new programming. That’s where APTN screwed up for the Inuit language. Also, IBC’s executive director must be based in Nunavut. If the current one is leaving, move the position up north where it belongs.